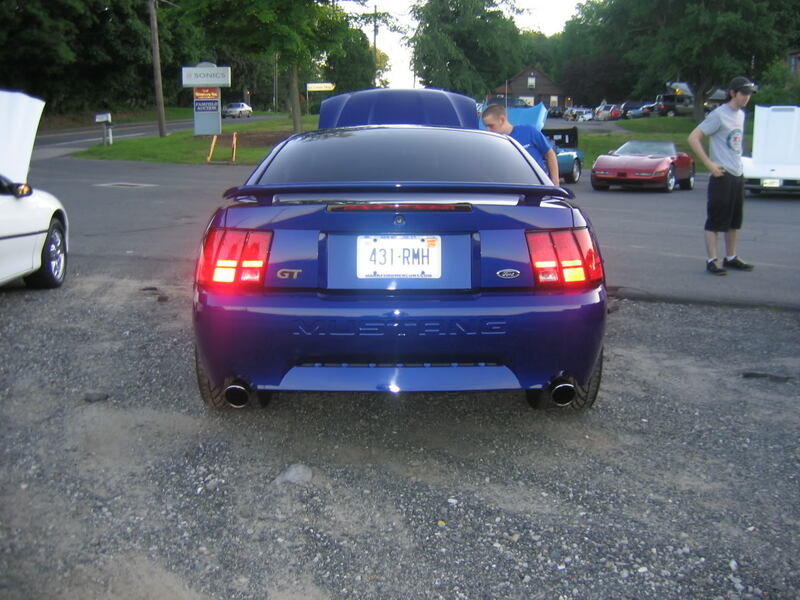 Few pics of my buddy's 04 sonic blue GT. 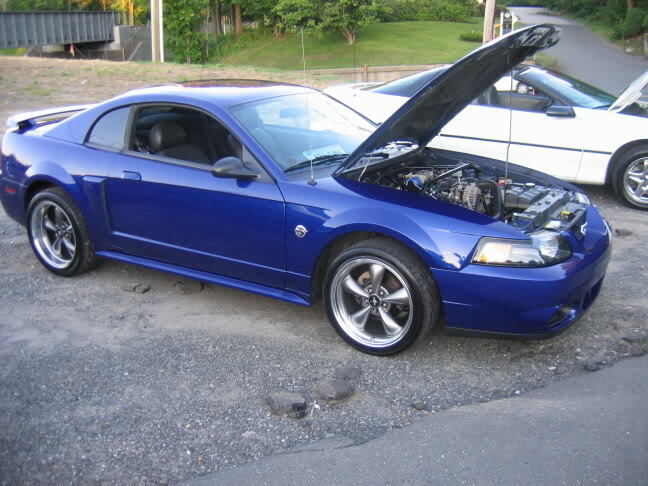 Mods: Cobra front bumper, borla exhaust, some intake, 18x9-18x11 bullit rims. 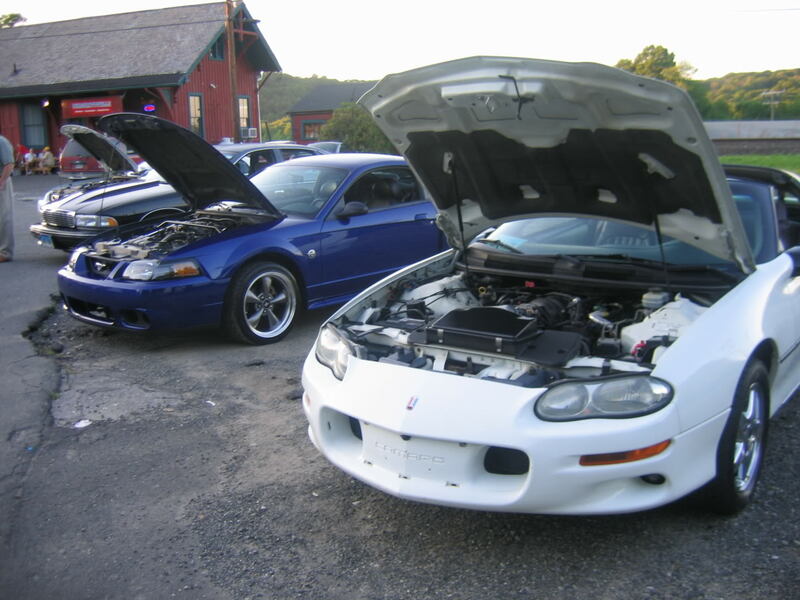 Got any pics with the hood down? ANd why isn't your buddy on here, posting his own pictures? I've got one crappy night pic with the hood down, I'll post it up latter. Somehow I like the Camaro better. needs to get rid of the 4x4 look. get that guy some springs. Do me a favor and ask him where he got the strut tower brace! my buddy wants one for his 03. 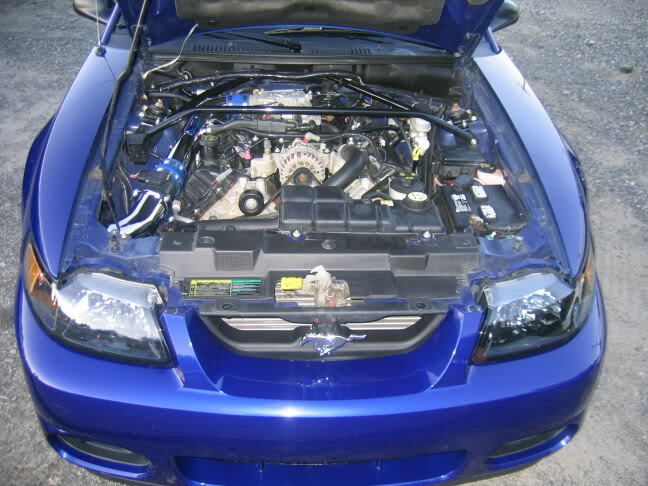 I have looked and the only one i can find is for a mach 1 and it wont work because the mach has the shaker hood. Find More Posts by "stock"